Kenworth Truck Co. announced the addition of two new power ratings for the 12.9-liter Paccar MX-13 engine that is available in the truck maker’s T680, T880 and W990 models. Kenworth is a brand of Paccar Inc. The first new rating is 405 horsepower and 1,650 pound-feet of torque and is intended for linehaul applications. 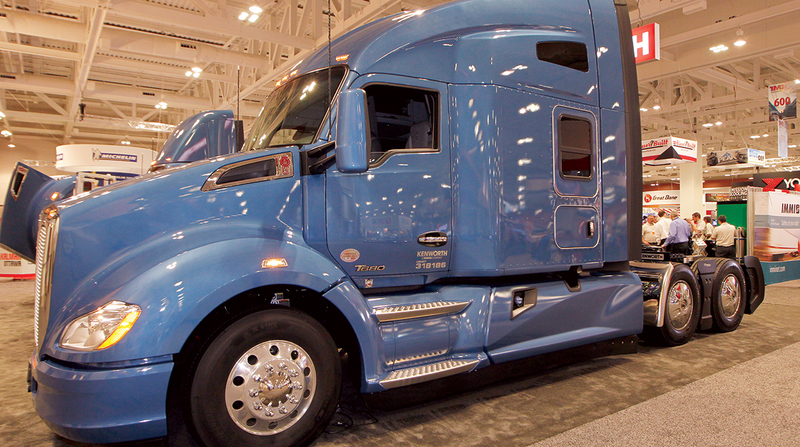 It enhances integration with the Paccar powertrain, and offers increased fuel efficiency, according to Kirkland, Wash.-based Kenworth. The second is a multi-torque 455 horsepower rating with 1,650 to 1,850 pound-feet of torque for fuel conscious heavy-haul fleets and truck operators. This rating provides additional torque in the top two gears while pulling a load up a hill, eliminating the need to downshift. The MX-13 engine now offers ranges of 405 to 510 horsepower and 1,450 to 1,850 pound-feet of torque. In addition, Kenworth announced a variable speed fan clutch as an option for the 10.8-liter Paccar MX-11 engine for Kenworth’s T680 and T880 models. The clutch maximizes engine power to the drive axle, helps prevent under- and over-cooling in all climates, and provides faster warm-up and more efficient air conditioning.